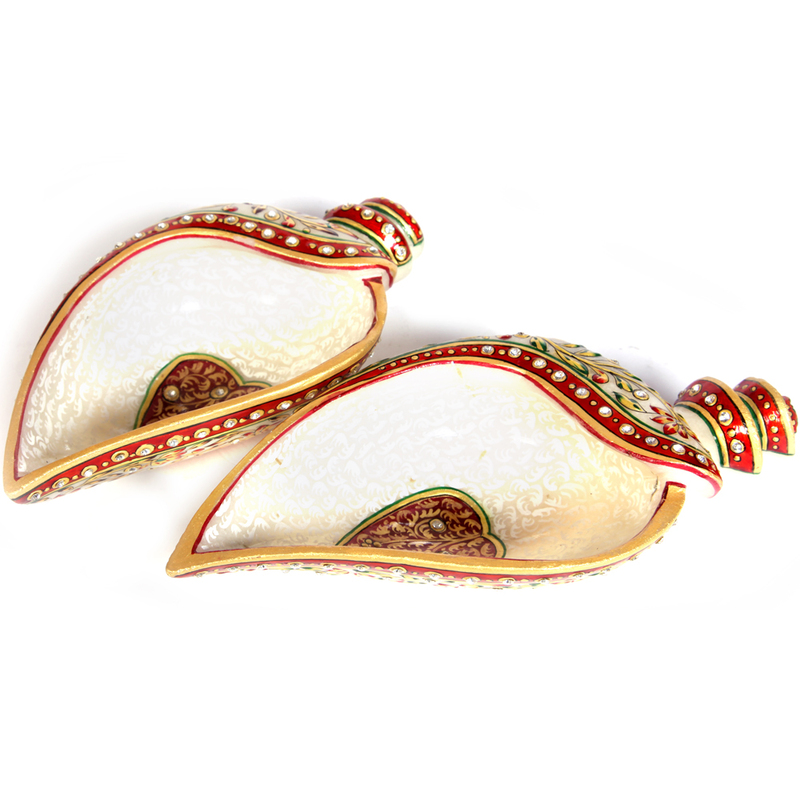 If you are a good cook and intend to serve with this marble serving conch, the praise of your culinary skills might be just a Read More..notch less than the praise you receive for this conch. A symbol of great artistry and sculpting, the conch compliments idea of dining just perfectly. 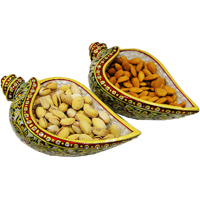 Show Less..
Bring home this excuisite meenakari marble conch this diwali and enhance the celebratory mood.